Prepare for battle with this Pokemon Pikachu Big Face Trucker Hat! Pikachu, the electric pokemon, is ready for the next challenger with this graphic 3D trucker hat. Ensure your fit with the adjustable snap belt in the back and get ready to journey into town. 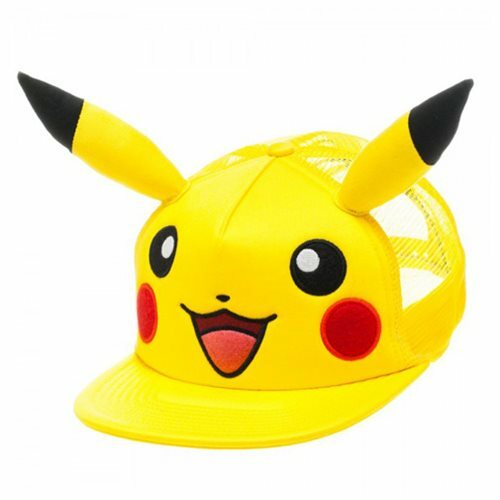 Catch them all with this Pokemon Pikachu Big Face Trucker Hat! One size fits most. Ages 13 and up.